View the NetherFlux site here! Updates to the mod weekly! Explore new biomes, dress in some new sweet armour, and log every new creature you discover, but be careful because in some biomes radiation is prevalent! You can see what the radiation is doing to you with the new radiation tracker above your health. Fight mother nature and more in this mod, MC Odyssey. Here is the official continuation of MC Odyssey! It is Theevilem, the original developer of this project. Development was abandoned in Mid-May due to rather inconvenient circumstances in real life, however, I will be continuing development towards the new year. I am not on my original account due to getting locked out from 2FA, but the project will be re-released on this account. Thank you for your patience and I hope you enjoy the new and improved MC Odyssey! It's been a month. Any hope for a release? Yes! Due to inconvenient circumstances in real life, development was abandoned in Mid-May, however. Now that everything is settling, the project will continue towards the new year! I am not on my original account due to getting locked out of 2FA, however, the project will be re-released on my new account. It is Theevilem, the original developer of this project. Development was abandoned in Mid-May due to rather inconvenient circumstances in real life, however, I will be continuing development towards the new year. I am not on my original account due to getting locked out from 2FA, but the project will be re-released on this account. 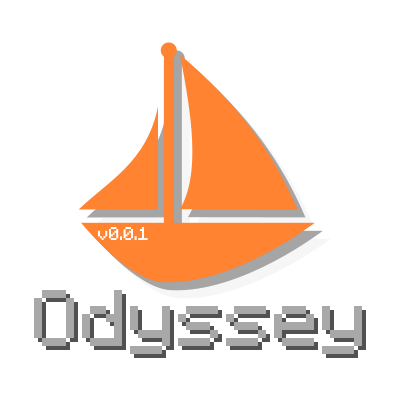 Thank you for your patience and I hope you enjoy the new and improved MC Odyssey! We hope you play it to your hearts content. Awesome! Glad to see there's still hope for this mod. Pictures will be available in the coming months and development resumes after 7 months delay on my new account due to me getting locked out of my old Theevilem account after a 2FA mishap. We hope you enjoy MC Odyssey when it becomes available in 2019. It is Theevilem, the original developer of this project. Development was abandoned in Mid-May due to rather inconvenient circumstances in real life, however, I will be continuing development towards the new year. I am not on my original account due to getting locked out from 2FA, but the project will be re-released on this account. Thank you for your patience and I hope you enjoy the new and improved MC Odyssey! Play it to your hearts content! !